SANTA CLARA, Calif.--(BUSINESS WIRE)--Samsung Electronics Co., Ltd., the world leader in advanced memory technology, today introduced the first solid state drive (SSD) based on its industry-leading 3D V-NAND technology. Samsung announced its new SSD, designed for use in enterprise servers and data centers, during a keynote at the Flash Memory Summit 2013 here. 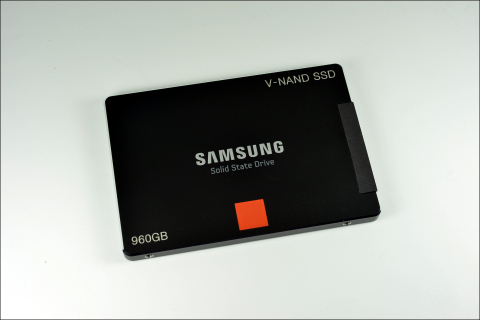 Samsung’s V-NAND SSD comes in 960 gigabyte (GB) and 480GB versions. The 960GB version boasts the highest level of performance, offering more than 20 percent increase in sequential and random write speeds by utilizing 64 dies of MLC 3D V-NAND flash, each offering 128 gigabits (Gb) of storage, with a six-gigabit-per-second SATA interface controller. The new V-NAND SSD also offers 35K program erase cycles and is available in a 2.5 inch form factor with x, y and z-heights of 10cm, 7cm and 7mm, which provides server manufacturers with more design flexibility and scalability. Samsung will continue to introduce next-generation V-NAND products with enhanced performance to meet diverse customer needs for NAND flash-based storage. These customer focuses will range from large data centers that can realize higher investment potential based on greater performance and energy efficiency to PC applications that place a high priority on cost-effectiveness and high density, further strengthening Samsung’s business competitiveness. Samsung said it began producing its new V-NAND SSDs earlier this month. Samsung Electronics Co., Ltd. is a global leader in technology, opening new possibilities for people everywhere. Through relentless innovation and discovery, we are transforming the worlds of televisions, smartphones, personal computers, printers, cameras, home appliances, LTE systems, medical devices, semiconductors and LED solutions. We employ 236,000 people across 79 countries with annual sales exceeding US$187.8 billion. To discover more, please visit www.samsung.com. * Editors’ Note: 10 nm-class means a process technology node somewhere between 10 and 20 nanometers, and 20 nm-class means a process technology node somewhere between 20 and 30 nanometers.